The Brooklyn Paper recently published a story about the growing community of anti-vaxxers in Brooklyn. It’s not, actually, because the Brooklyn Paper isn’t discussing whether or not people are vaccinating their children — it’s discussing whether or not people are vaccinating their dogs. People Aren’t Vaccinating Their Dogs? Yeah, apparently that’s an issue now. According to the article, “hipsters” (wait, we’re mad at hipsters now? What happened to millennials?) are refusing to vaccinate their pups against potentially deadly illnesses — some of which can be spread to humans. 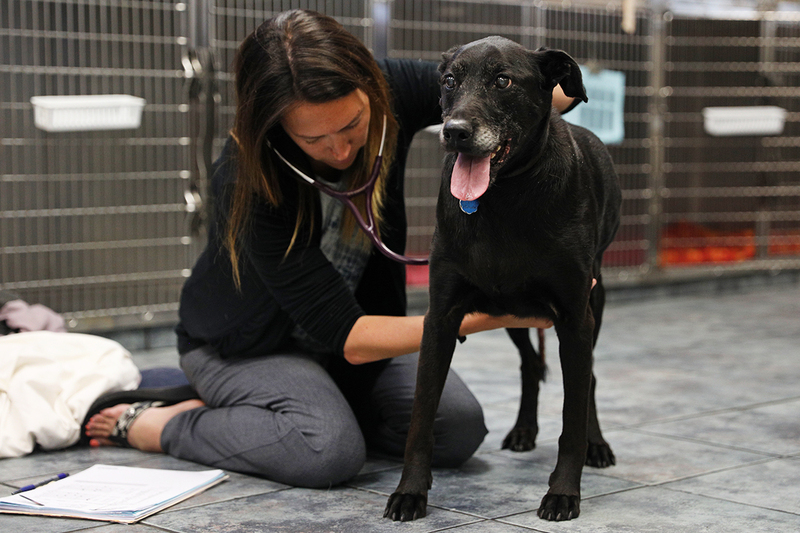 Dr. Amy Ford, who works at the Veterinarian Wellness Center of Boerum Hill, told the Brooklyn Paper that local veterinarians are starting to see a higher number of pet owners refusing life-saving vaccinations. She notes that the new trend might be stemming from the anti-vaccination movement, which it seems people are now applying to their pets. But there’s not actually any information linking dog vaccines to autism (one of the main concerns of the human anti-vax movement), and in fact, another local veterinarian, Dr. Stephanie Liff of Clinton Hill’s Pure Paws Veterinary Care, told the Brooklyn Paper that she’s never actually diagnosed a dog with autism — and says she doesn’t think it’s possible. Liff notes that most trends in human medicine eventually trickle down into animal medicine, and that the dog anti-vax movement seems like a natural progression of the trend. However, she’s a proponent of vaccinating pets, and she encourages people to renew their pets’ vaccinations every three years. According to guidelines published by the American Animal Hospital Association Canine Vaccination Task Force, all dogs should have the rabies, canine distemper and canine parvovirus vaccines. The canine hepatitis vaccine is also widely recommended and is usually given in conjunction with the distemper and parvovirus vaccine. Additional vaccines are given based on location and other independent risk factors and should be determined by your pet’s veterinarian. Many of the recommended vaccines safeguard your pet against preventable, life-threatening and costly diseases. But aside from the fact that leaving your dog unvaccinated could potentially result in serious illness or death, a lot of doggie diseases are also transferrable to humans. So you’re not just putting your dog and any other dogs your pup encounters at the park in danger — you’re also putting humans (including yourself) in danger. Health and wellness arguments aside, though, there’s another factor pet owners should consider when deciding whether or not to vaccinate their lovable furballs: the cost. At the SPCA of Tampa Bay, you could get your pup fully vaccinated for about $33, a figure that includes the DHPP vaccine and a rabies vaccine. (The DHPP vaccine covers parvovirus, distemper and hepatitis.) That’s right: for $33, your pet is fully vaccinated. A recent study took a look at the annual — and lifetime — cost of owning a dog. (You can calculate your own estimate here.) The category the average pet owner should expect to spend the most on? Health care. However, being a responsible pet owner will ensure that you don’t end up paying more than is really necessary over your dog’s lifetime. Your dog might swallow a plastic army man or have a run-in with bees, but it should never wind up in the veterinary clinic because of a totally preventable disease. While picking the right pet insurance for your pup is a smart move so you’re not blindsided by a hefty vet bill, preventative medicine will, in the long run, save you the most money (and heartache).